ISCA - International Sport and Culture AssociationHow can UNESCO’s revised Charter on physical education and sport become a game-changer? How can UNESCO’s revised Charter on physical education and sport become a game-changer? Photos: Thomas Søndergaard/Play the Game. In a session dedicated to the revised UNESCO International Charter of Physical Education and Sport, ISCA President Mogens Kirkeby called for ‘game changing’ initiatives when he spoke at the international Play the Game 2015 conference. How can a document be a change-maker in practice as well as on paper? This was the central question – not only from the speakers and delegates, but from UNESCO’s Executive Officer for Sport, Phillip Müller-Wirth (pictured), himself – when the biennial Play the Game in its closing session took a look at how to make UNESCO’s newly revised Charter of Physical Education and Sport more than words. UNESCO first adopted the Charter 37 years ago, and a decision was made to revise it after recommendations presented at the 5th International Conference of Ministers and Senior Officials Responsible for Physical Education and Sport (MINEPS V) in Berlin in 2013, where ISCA was present as a stakeholder. 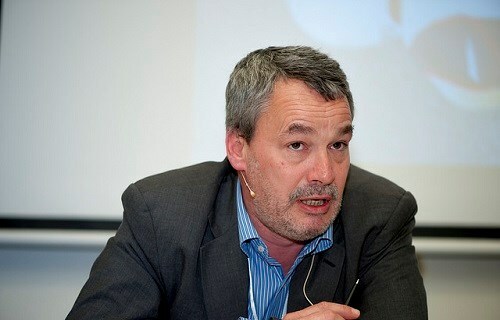 Müller-Wirth described UNESCO as the “custodians of sport policy development” who introduced the Charter, and several persons or institutions represented in the debate, including ISCA, the International Council of Sport Science and Physical Education (ICSSPE), the International Director of Play the Game, Jens Sejer Andersen, have played an active part in revising it. Kirkeby highlighted three phases in bringing sport policy to life, from left to right on his presentation slide: Challenge identification (the problem/the plan to solve it), Changing the game (action) and A better sports world (the end result). Challenge identification, he noted, includes pointing to problems, such as inactivity, and developing documents like the UNESCO Charter and the WHO Physical Activity Strategy to address them. But, he said, “we are still on the left side of the slide” when it comes to practice. Richard Bailey from ICSSPE summed up policy as something that is “done to people… it’s dropped on them like an atomic bomb and they’re expected to deal with it”. He argued that framing the policy in an understandable way and communicating the messages is essential in its dissemination and use. Africa indeed, was one of the continents on which the Charter could make a difference, Müller-Wirth noted in the question-and-answer session. If this is where the Charter could have its greatest impact, then resources should be focused on the 50 developing countries most in need, Kirkeby said. Jens Sejer Andersen concluded the session, and the conference, by saying that after working closely with the document he was optimistic about its potential to make a difference for the sport and physical activity sector, but reinforced the need to move from identifying the challenge to changing the game.